Excerpt He had never saved his money, had learned no other trade or profession, and with millions of trained men jobless, he found it impossible to get work. He soon found himself flat broke. He then took to panhandling, usually getting enough nickels and dimes in a day for his food and a cheap flop. His last dime was now gone. Soon he must leave the languid comfort of the park bench and resume his panhandling, in order to obtain the food and the flophouse bunk that would see him through the night. A discarded newspaper lay on the bench beside him, and picking it up, he glanced idly through the "Help Wanted" columns of the classified section. Suddenly, a small ad caught and held his attention: WANTED: Experienced mountain climber. Easy work. Excellent pay. Applicants call in person, 1332 Poinsetta Drive, and ask for Professor Hartwell. Jorgeson frowned and considered. That address would be at least a five mile walk from where he sat. But didn't he walk a good fifteen to twenty miles a day, anyway? And the panhandling might even be better out Poinsetta way, whether he landed the job or not. He tore the ad from the paper, thrust it into his coat pocket, lurched to his feet, and slouched off on his way. 1332 Poinsettia Drive was a typical California bungalow, set in a spacious grounds, dotted with trees and surrounded by a high, woven wire fence. Jorgeson stood for a moment, peering through the wire meshes of the gate, trying to gather courage to enter. He was painfully conscious of his unshaven, unkempt appearance. For a moment, he was tempted to turn away and give up the quest. Then he saw a white-haired, bespectacled man of about his own size and build emerge from a side door and walk out into the yard. He made a queer, clucking noise, and a squirrel came scampering down the nearest tree, then ran toward him and halted with bushy tail arched. The man produced an acorn from a bulging coat pocket, and handed it to the squirrel, which sat there on its haunches, nibbling and jerking its tail. It was soon followed by another and another, until no less than a dozen squirrels surrounded the old man. This sight decided Jorgeson. Undoubtedly, this was Professor Hartwell. A man who was kind to animals would also be likely to be kind to a fellow human being in distress. The Fly opened the gate and entered. The squirrels scampered away at his approach. The old man rose to his feet, rattling the acorns in his pocket as he appraised the Fly with keen gray eyes that looked out through his gold-rimmed glasses from beneath bushy white brows. "Well, what can I do for you?" he asked crisply. "I've come in answer to your ad in today's paper," Jorgeson replied. "You are an experienced mountain climber?" the old man asked. "I can climb anything that's climbable," Jorgeson responded. 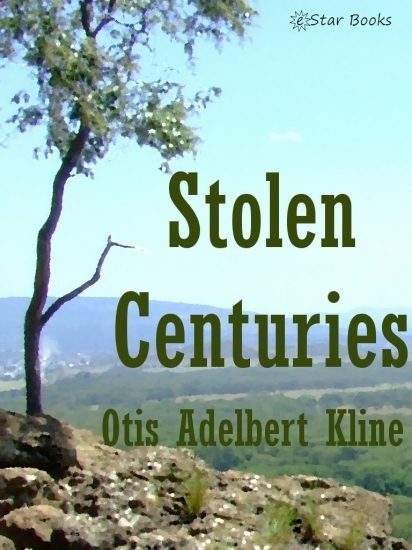 Otros ebooks de Otis Adelbert Kline.